RHIANNE CAMPBELL/TORONTO OBSERVER NEW COP SHOP: Meeting at the East York Civic Centre discusses proposed sites for a modern police station. Toronto police are asking the public for help in deciding where to put an improved police station in the east end. Two divisions, 54 and 55, are amalgamating to become a single, modernized division. 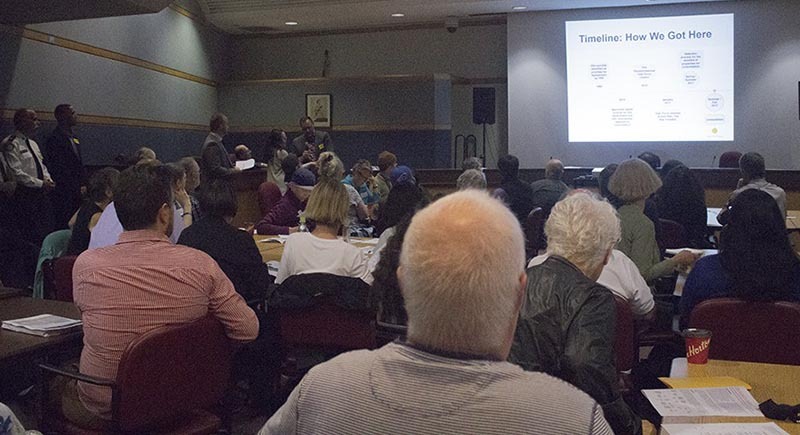 Toronto Police Service, the City of Toronto’s real estate services and city planning officials held a community meeting at the East York Civic Centre on Tuesday, inviting the community to share their thoughts on where the new proposed site should be. They’ve created a plan with 24 recommendations to modernize community safety in Toronto. Number 16 on the list looks towards changing the structure and redesigning dated properties. The process began with looking at 550 potential building properties and using a process of elimination has narrowed it down to only three potential sites: the East York Civic Centre, Danforth TTC Garage and the current 55 Division building. Ward 29 councillor Mary Fragedakis said community involvement is a vital step in this process of choosing a new station location. “It’s really important that the public be part of the discussion around where that should be, since they’ve decided to merge the two divisions,” she said. Each member of the community at the meeting was asked to sign in, supplying contact information. They were given an informational “discussion guide,” that explained the pros and cons of each location and an outline of the criteria used to evaluate the properties. Having the station at the East York Civic Centre would affect many people but could be a great asset for police, Supt. 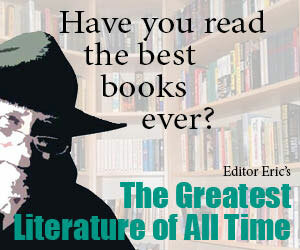 Frank Bergen said. The building would go in the northeast parking lot. Douglas Murdoch, who lives in the Coxwell and Danforth avenue area said he attended the meeting because he was concerned about how the proposed site in that area could affect him. Another meeting is to be held Oct. 17, at the S.H. Armstrong Community Gymnasium from 6:45 p.m. to 9:15 p.m.
Officials are also asking the public to fill out a community feedback form, on the website. By Nov. 29, the issue will go to city council’s executive committee with public deputations. The project is proposed to be completed and ready for occupancy by 2024.